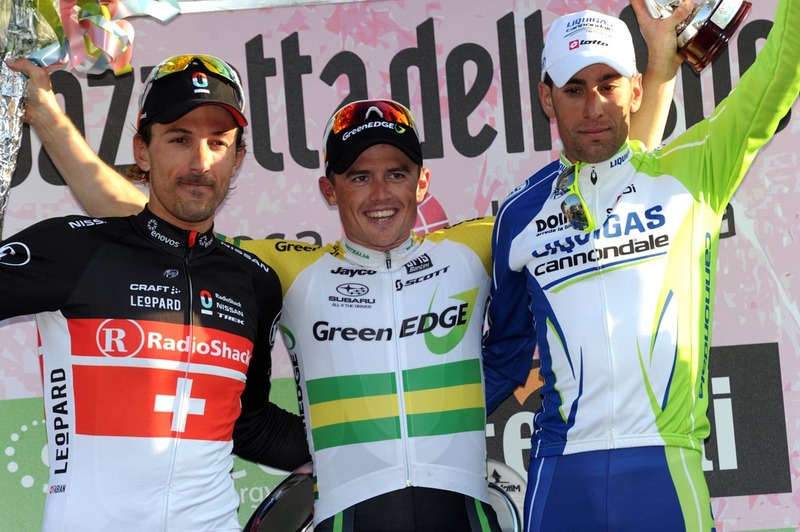 Simon Gerrans became the second Australian to win Milan-San Remo in as many years when he outsprinted Fabian Cancellara and Vincenzo Nibali on the Italian Riviera on Saturday. The Australian National Champion came across the line with two arms aloft after biding his time in Cancellara’s slipstream. Despite a group of gallopers fast closing behind, Gerrans let Cancellara lead out the sprint before accelerating past him for his first victory in one of cycling’s monuments. 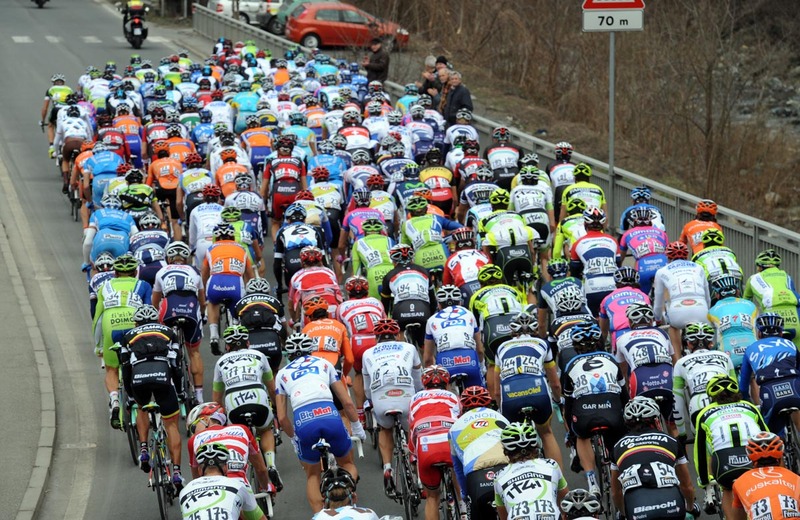 The front trio escaped from the rest of the bunch on the climb of the Poggio in the final 10km. With Gerrans having followed an explosive attack by Nibali, they were joined by Cancellara who then utilised his descending skills to lead the group down the entirety of the narrow and twisting descent. Into the wider, flatter streets of San Remo, the trio commanded just a 12 second lead over a bunch led by Oscar Freire’s Katusha team. Nonetheless, Cancellara continued with the bulk of the workload and kept them ahead to contest the win. Behind, Peter Sagan took fourth place with John Degenkolb in fifth. Although several other sprinters were also present including last year’s winner Matt Goss, it was not a day for Britain’s 2009 victor Mark Cavendish. The World Champion’s race effectively came to an end on the climb of Le Mànie when he was dropped by the main bunch. 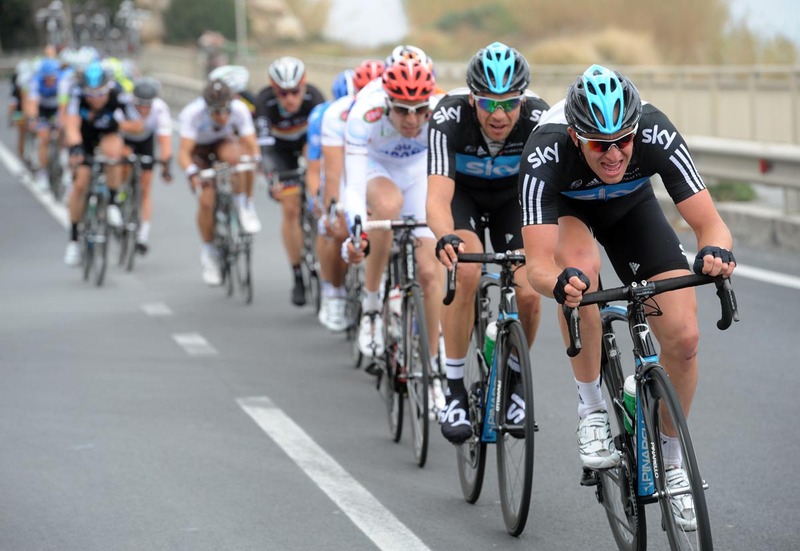 Despite a 50km effort by four Sky team mates to get him back on, he eventually raised the white flag. 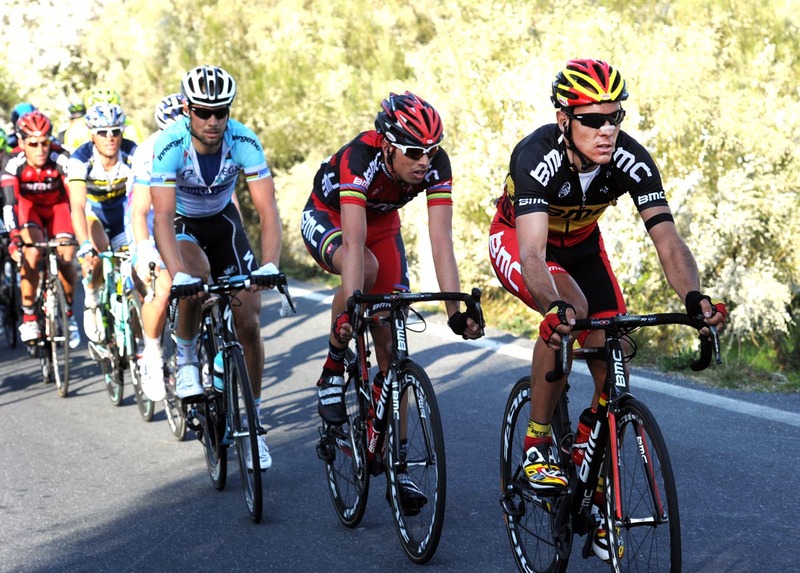 Philippe Gilbert was another possible contender for whom things didn’t work out. He went down in a crash close to the top of the Cipressa climb in the final 25km. Although he was able to quickly remount, the Belgian never saw the front again. The last 100km of the race were marred by a crash in which Colombian Julian Carlos Quintero hit a wall on a descent. It is understood he is now in hospital being treated for head trauma.